Your emotions, believe it or not, help you to understand your life on a deeper level. A significant difference between human beings and the animal kingdom is in our ability to feel a wide variety of emotions. Without emotions, you’d have the personality of a lesser being. You’d be predictable, instinctive—non-unique. Sadness is a very common emotion that all healthy people experience. Feeling down or sad when something negative happens is a totally normal reaction. Sadness lets your conscience know that you need to take the time to address your disappointment rather than trying to ignore bad things when they happen. In many cases, sadness fades away gradually or even vanishes when something positive happens. Depression, however, is more than the common emotion of sadness. Depression is actually a condition where sadness and its symptoms linger for extended periods of time. When depression comes to stay it usually brings along other difficulties that interfere with a person’s ability to lead a normal and healthy life. Depression loves to make itself at home. It enjoys influencing the way you think, the way you feel, and even the way you behave. Depression likes to color the canvas of life in dark shades of despair and helplessness. 1. Your brain manages your body. Every time you make a movement, your brain is involved. Every time you breathe or your heart beats, your brain is involved. Your brain works at your command when you want to pick up a pencil. Your brain works on its own when you need to digest food. 2. Your brain monitors your physical exposure to your environment. Your brain uses your sense of sight, sound, taste, smell, and touch to observe your surroundings. Your brain let’s you know when the weather is cold and alerts you to put on a coat. With just a whiff, your brain let’s you know when you’re near fresh baked goodies. You hear, see, taste, feel and smell the world around you with your brain. 3. Your brain collects, stores and processes data. Your brain enables you to build your favorite playlist, recall vocabulary words, do math problems, remember the names of your friends or find your way around your favorite store. Your brain helps you to make plans with friends or organize your room. 4. Your brain governs your behavior. Your brain controls all of your interactions with other people; this means the tone of your voice, your level of excitement and your attitude. 5. Your brain decides how you feel. Your brain not only decides how you feel on the inside, but also determines how you express your feelings to those around you. 6. Your brain protects you from harm. Your brain constantly monitors your external and internal sensors in order to keep you from trouble. Externally, your brain recognizes the burn of a scalding hot cup of cocoa and will prevent you from taking too big of a sip. Internally, your brain recognizes the pain of hurtful words spoken to you and will raise negative emotions in order to warn you of being exposed to unkindness. As you can see your brain, in many ways, is the control panel for your life. When your brain is working properly, you have good mental health. Good mental health touches every aspect of your being including your physical health, your appetites, your sleep patterns, your school performance, your confidence, your relationships with people and even the way you view your relationship with God. Having good mental health allows you to deal with every day situations and live a positive life. When depression moves in, it can get you stuck in a pattern of thinking that actually alters the way your brain is meant to function. Over time, your brain can get used to working in an incorrect way. When this happens, your mental health suffers making things like physical health, schoolwork, and relationships very difficult. Depression can decrease your enthusiasm and strip away your self-confidence and trust in God. Depression impacts your whole outlook on life. 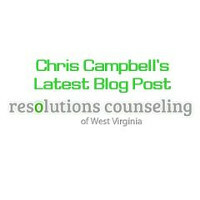 Resolutions Counseling Inc. – We are here to help. When depression moves in, it can get you stuck in a pattern of thinking that actually alters the way your brain is meant to function. Over time, your brain can get used to working in an incorrect way. When this happens, your mental health suffers making things like physical health, work, academics, and relationships very difficult. Depression can decrease your enthusiasm and strip away your self-confidence and trust in God. Depression impacts your whole outlook on life.